This is a WHOLE-FOOD B supplement and does not contain any synthetic derived forms of B-Vitamins. The B vitamin Complex catalyzes various chain reactions by acting as co enzymes for the release of energy. For example, niacin (vitamin B3) plays a key role in fifty metabolic reactions in glycolysis for the release of energy via the Krebs Cycle and the monophosphate shunt. Niacin is also involved with the de animation of amino acids, fatty acid oxidation, and steroid production. Clinical trials have demonstrated the efficacy of vitamin B therapy in stress management. Pantothenic acid (vitamin B5) deficient rats have been shown to have low adrenal function and poor motor control. Rats fed a diet low in pantothenic acid produced lowered catechol-amines and corticoid steroids. 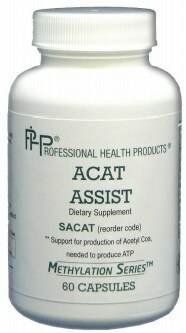 This work suggests the importance of pantothenic acid in the support of the adrenal gland. Riboflavin (vitamin B2) function as a hydrogen transfer agent and as a coenzyme in a variety of energy reactions within the body. Riboflavin is also involved in the release of corticotrophin hormone from the pituitary gland. Folic acid is a co- factor for the synthesis of methionine and nucleic acids in the body. Clinical deficiency symptoms include miscarriages, anemia, gastrointestinal problems, tremors, and muscular atrophy.